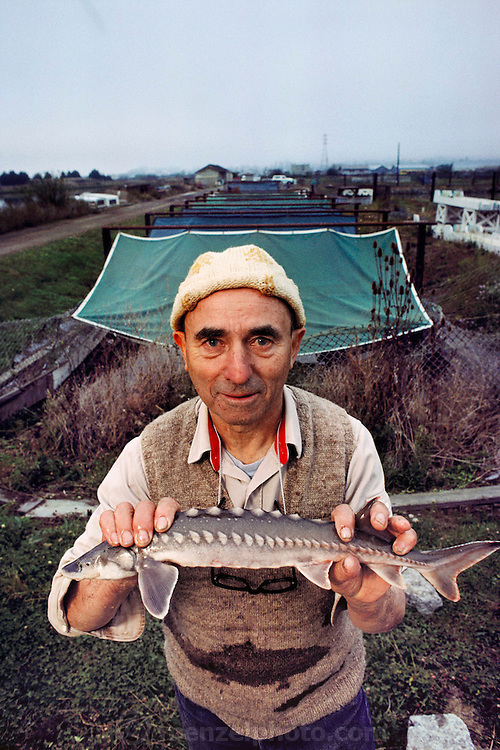 Professor George Allen holding a sturgeon at the waste water wetlands in Arcata, California. (1989) MODEL RELEASED. USA.